Packing up the belongings and roaming about here and there in search of an accommodation is undoubtedly a stressful task. The hotels generally charge a lot for providing some limited facilities. Thus, the serviced apartments are regarded as a prime requisite, especially for corporate clients as well as the tourists. 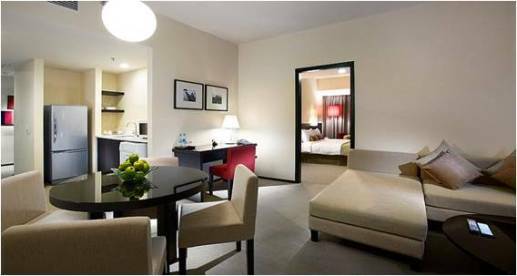 They consider the serviced apartments as a more reliable option than hotels. The providers of serviced apartments are gradually concentrating on improving the edges of facilities and services that they offer to grasp the maximum attention of the clients. The serviced apartments usually come with the myriad of luxurious amenities as compared to that of the general hotels at affordable costs. These apartments are extremely well-furnished and guarantee enough comforts that motivate the clients to opt for these apartments rather than the hotels. Thus, if you are looking for a comfortable lodging within a flexible budget, opt for the serviced apartments without thinking twice. Serviced apartments basically come with enormous features that motivate the tourists and the business clients to make a stay at these comfortable housings. These apartments comprise a well-equipped kitchen with modern appliances such as a freezer, microwave and a lot more on which we are highly reliant in our day-to- day lives. You can prepare your own food that will help you to cut the extra expenses. The hotels normally charge extra costs for providing meals. Unlike the normal hotels, laundry amenities are also offered at low- costs. Accessing internet becomes too much risk for the clients as they leave them with nothing but, heavy bills after making a stay in the hotels. But in the serviced apartments you can easily access the internet and make phone calls according to your needs without thinking about the costs. They are usually much more inexpensive than the general hotels. In a serviced apartment, you just need to pay a particular fee for all possible activities and other expenses. The hotels charge for the extra comforts that they deliver. Why Choose Serviced Apartments over a Hotel? There are uncountable reasons that make these apartments more preferable than hotels. These apartments are spacious thus, providing abundant chances for clients to relax appropriately. The hotels offer a narrow and limited area that usually restricts proper movement. The apartments, on the other hand, possess a stimulating environment that satisfies the clients to the fullest and also contributes a lot to provide a homely atmosphere. Serviced apartments consist of multiple rooms with spacious beds and a well-ornamented living room that ensures to make your stay comfortable along with your family or colleagues. The modish designs and interiors not only beautify the apartment but also enrich the standard and class of the clients. The famous Kensington serviced apartments are considered as the most reliable apartments for providing maximum standardized professional plus personal services within the budget of their precious clients.